So I spray painted it with White Knight Squirts quick dry gloss enamel in ‘gum grey’. I let it dry overnight and then glued on some rosettes my mum made from scrap material. Hello!! Nice to meet you!! What a great idea!! So simple but one i did not think of!! LOL!! 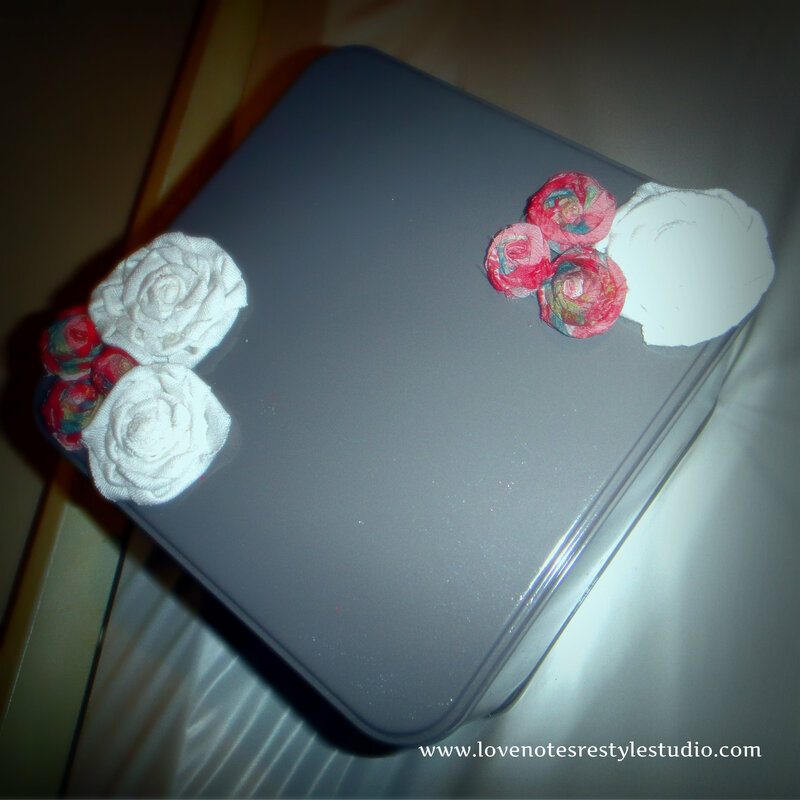 You have a wonderful blog and I LOVE your tin – great idea! Thanks for taking the time to share the love! What a cute idea! I have some dollar-store tins that need a good coat of paint but I hadn’t decided on a use for them. They’d look great on my daughter’s dresser to hold all her hair things! And thank you for stopping by Simplify Mommyhood and following us on Pinterest! 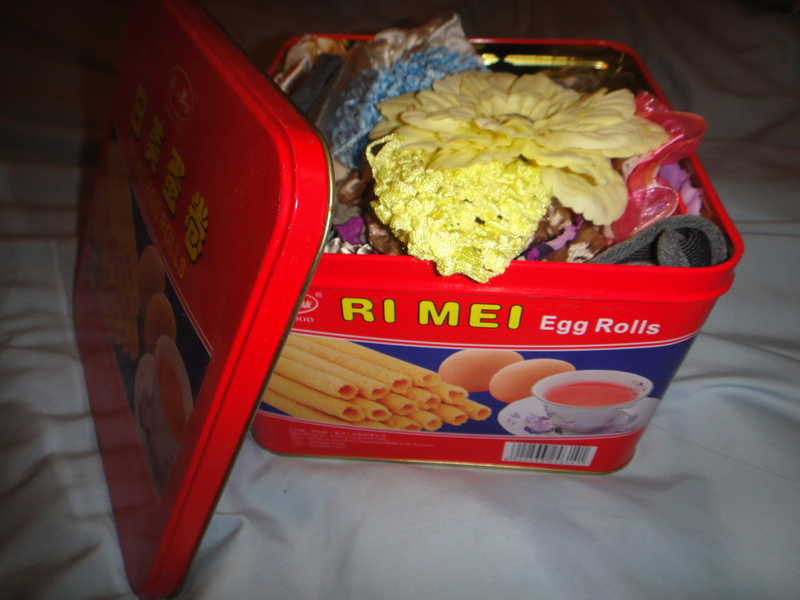 Thank you so much for sharing your beautiful tin at A Bouquet of Talent. You did such a great job! This turned out very cute! 🙂 Thanks for sharing!